Indonesia has a large amount of Muslim population; it is one of the largest countries with high total Muslim populations in the world. Therefore, you might not surprise if you find so many mosques in Indonesia. Even though mosque is a place for Muslim to pray, but some found that the building often has beautiful and majestic architecture decoration design. The style of this building is sometimes a combination of Arabic style with a touch of traditional design where those buildings have been established. There are some famous mosques in Indonesia that many visitors from all over the world come there to see its great architecture and know more about Islamic tradition. The visitors are not only from Muslim, but there are also so many visitors who are Non-Muslim. They are allowed to see those incredible creatures and make a great memory in their journey. Those famous mosques have different architecture style, shape, and size. This country is a perfect place for you if you want to have a look of beautiful mosques in Indonesia that attract people over the world. There are many famous mosques which can be enlisted for your destination. These are top three mosques that you must visit. Bandung’s Grand Mosque. This mosque is located in Bandung, West Java. People know that this city has many iconic buildings. Bandung’s Grand Mosque is popular with the name of Masjid Raya Bandung. In 1812, this building was first built and was renovated once. This mosque has a simple design yet it is so elegant with the influence of Sundanese traditional architectural design. The building consists of some floors with the domes accompanied by 2 towers. It is one of the old architectural famous mosques in Indonesia with a great atmosphere for visitors since it is like a gathering spot for locals. Menara Kudus Mosque. The location of this mosque is in Kudus, Central Java. It is one of the most majestic and magnificent famous mosques in Indonesia that you should visit. 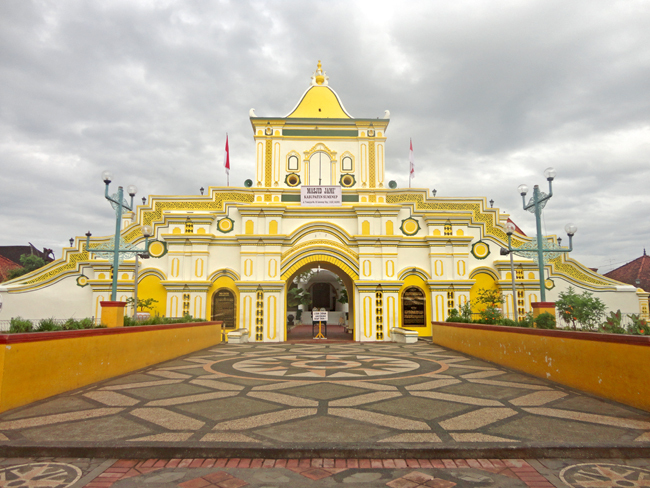 It was built in 1549 and becomes one of the most antique mosques in Indonesia. It has stunning architecture and unique decoration style. The style is a combination of Hindu and Islamic architecture since the Hinduism was predominant religion when this mosque was established. It also has the meaning of religious tolerance in between Islam and Hindu at that time. Istiqlal Mosque. If you are talking about the most famous mosque in Indonesia, then you will not miss this mosque. It is a reminder of Indonesian independence which is located in Indonesian capital city, Jakarta. If you visit Jakarta, you have to enlist this mosque as your destination. The interior design of this mosque is simple with Arabic calligraphy. It is surrounded with a large courtyard that can accommodate for thousands people. Indonesia is not only famous for its traditional culture and natural view, but it is also famous with a huge number of mosques. Some architecture of the mosques is a fusion of two or three different architecture designs. Those mosques are famous not only in locals, but also in many people around the world. Therefore, it is a great destination for you if you come to visit Indonesia.